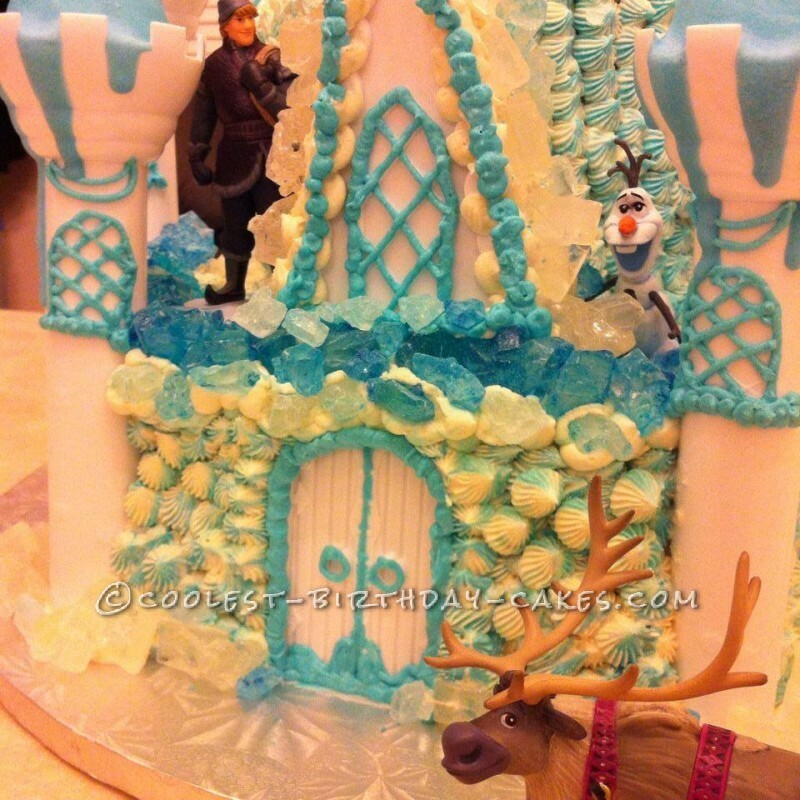 This castle cake is a design that I came up for my daughter’s frozen themed birthday party. 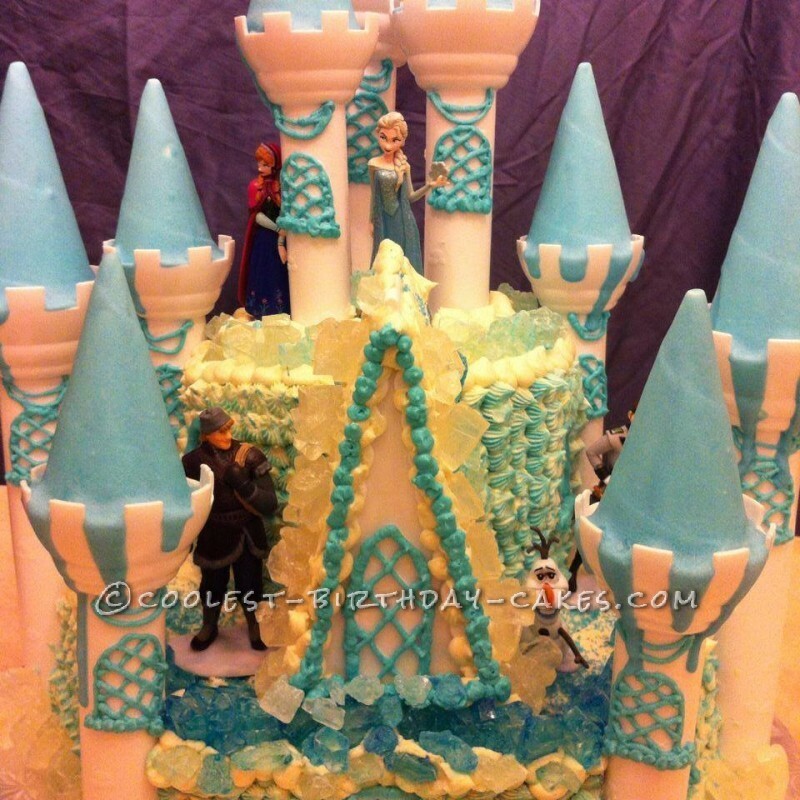 For this cake I purchased the Wilton castle kit, rock candy and frozen figurines to place on the cake. 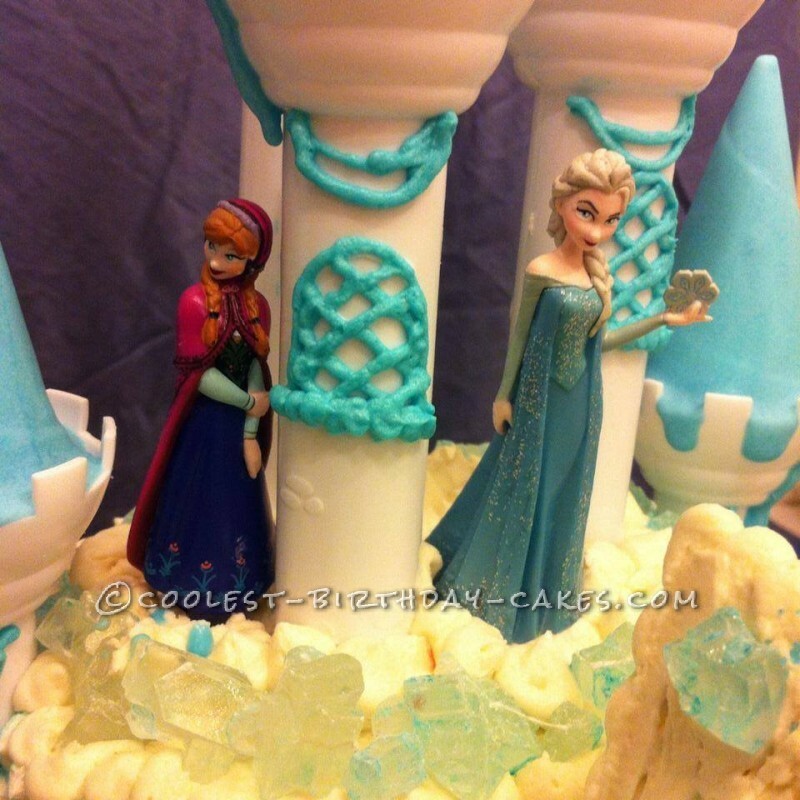 The bottom layer is a made from a double layer hexagon shaped cake and the 2nd tier is 3 round 6″ cakes. 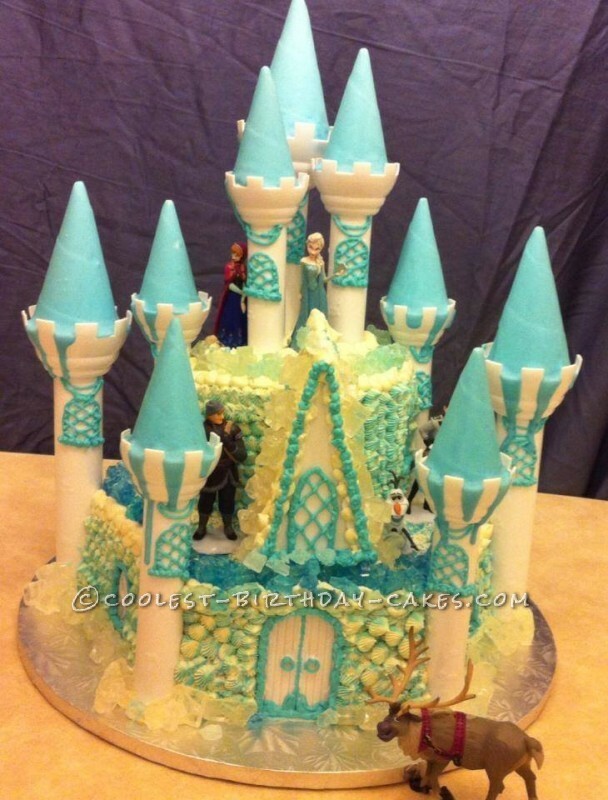 I piped the butter cream over the cake with light blue and white frosting in the bag. For the cones on the tower I dipped them in candy melt then placed it on top of the tower. I spooned extra candy melt over to make it have a drizzled look over the towers. 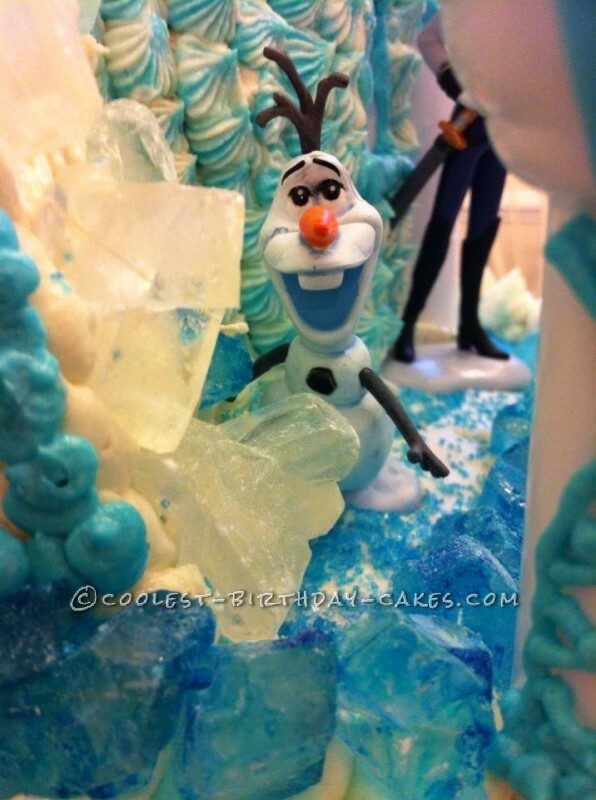 To finish the cake off, I added rock candy of 3 different shades to add around the cake to look like ice.